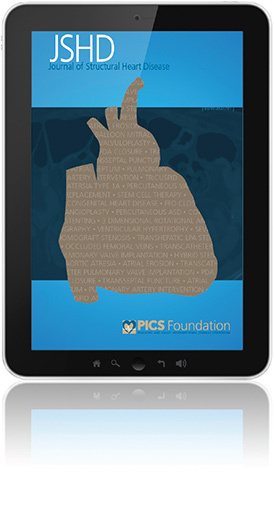 The scope will include all adults with structural, valvular, and congenital heart diseases. It is anticipated that this journal will cover imaging related to interventional therapies for these disorders. Imaging has become one of the most important aspects in this discipline. In addition to imaging, of course, the main focus will be on the treatment aspects of all congenital, valvular, and structural heart disease in the adult patient. This certainly will include the aortic valve, the aortic arch, the mitral valve, the left atrial appendage, the atrial septum (ASDs/PFOs), the tricuspid valve, the ventricular septum (VSD), the right ventricle outflow tract, the pulmonic valve and the branch pulmonary arteries and any miscellaneous topics not covered under these subheadings. Although the focus will be on “catheter therapies,” the journal will also cover basic science articles, natural history and surgical management.